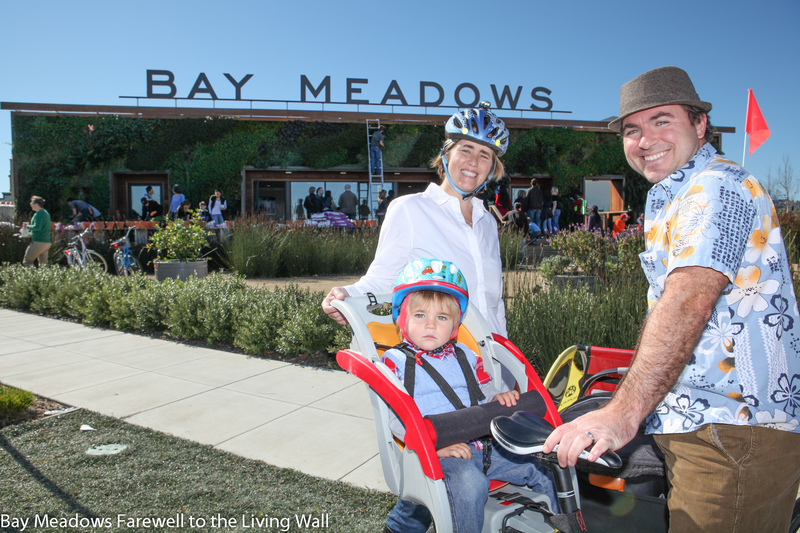 On Sunday, March 1, friends and residents of the Bay Meadows community gathered to say goodbye to the Welcome Center, which is making way for new development on the site. 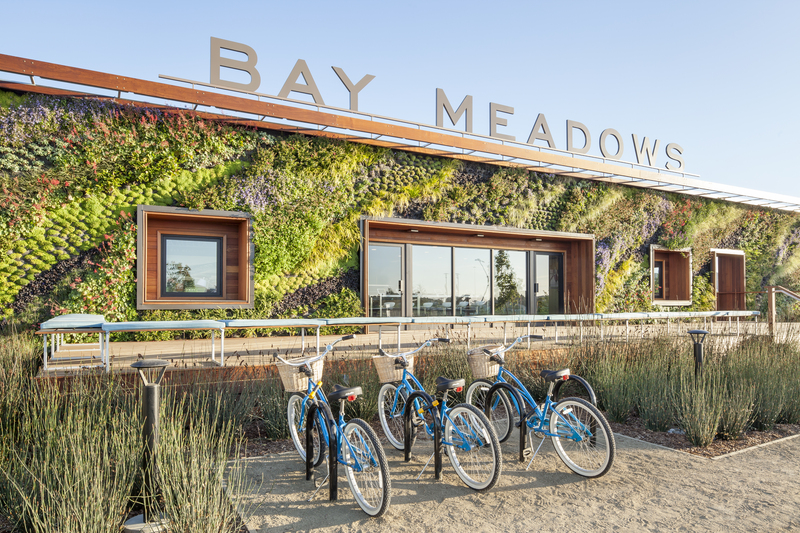 Designed by BCV, with a living wall by Habitat Horticulture, landscape design by CMG Landscape Architecture and irrigation design by Hyphae Deisgn Lab, the Welcome Center sought to embody the place-making that is the hallmark of the growing Bay Meadows community. 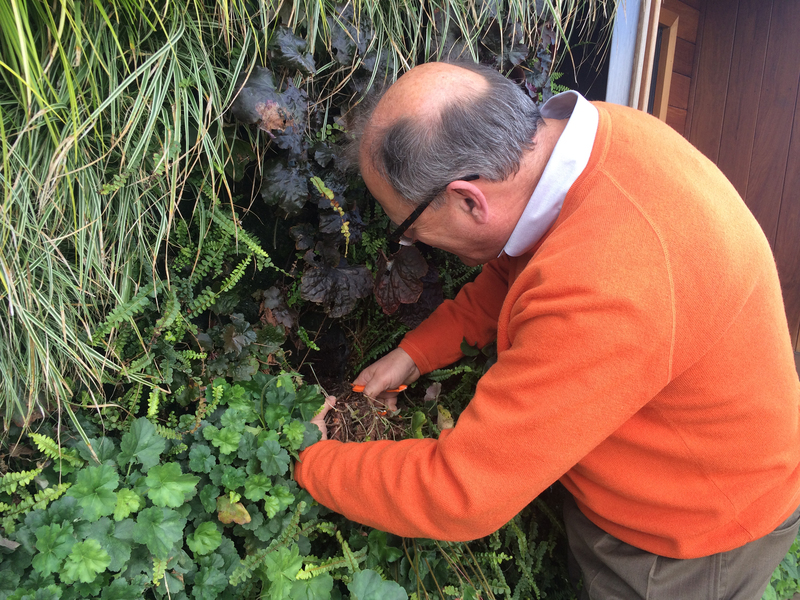 As part of the goodbye, Habitat Horticulture was on site to help visitors take home a piece of the wall in a terra cotta pot provided by Bay Meadows. BCV associate Jennifer Smith, AIA stopped by with her family (above) to check out the proceedings, while BCV principal Hans Baldauf, AIA (below) took a souvenir home as well. In approaching the design of the temporary sales office, BCV adopted architect Robert Venturi’s strategy of declaring the small building a civic monument through the traditional western town move of creating an exaggerated façade, rendered here as a living green wall. 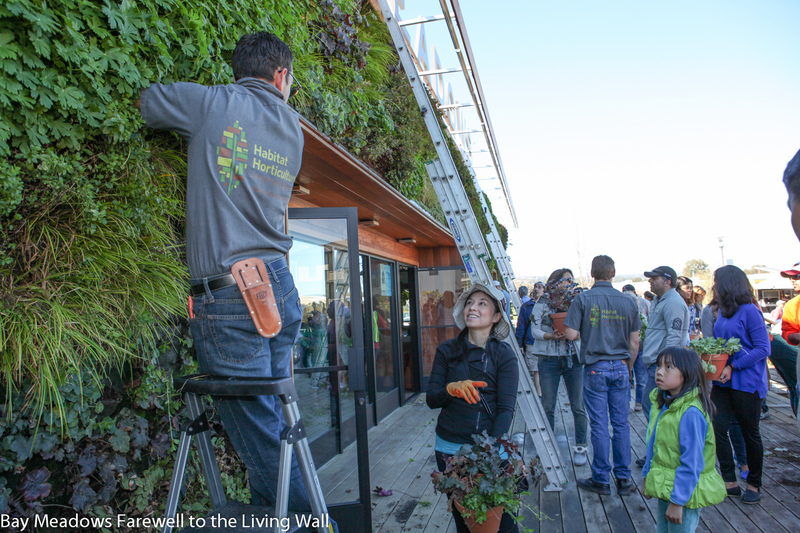 The ever-changing nature of the green wall and the expansive front porch encouraged visitors and future residents to return and revisit the first toehold of the civic life of the community.